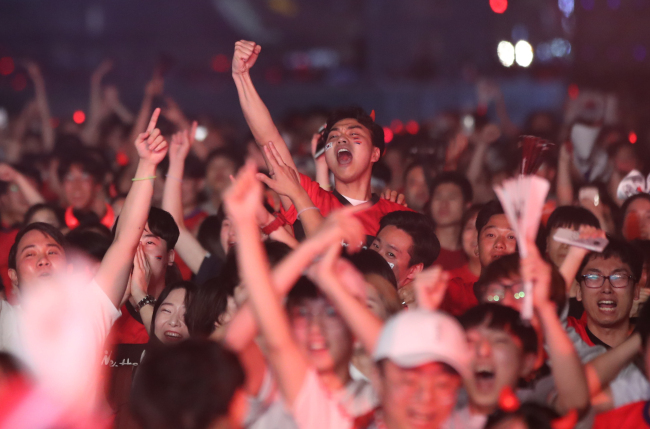 Gwanghwamun Square in Seoul, Saturday night, was painted red with the Red Devils cheering for the midnight match between South Korea and Mexico. 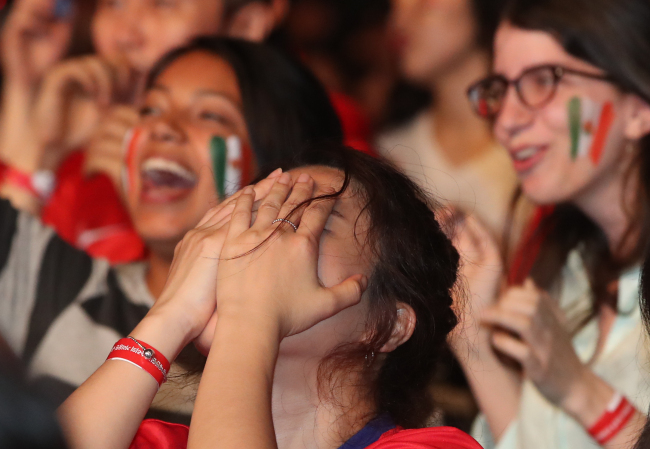 With tightly clasped hands held high, fans watched the rollercoaster game. 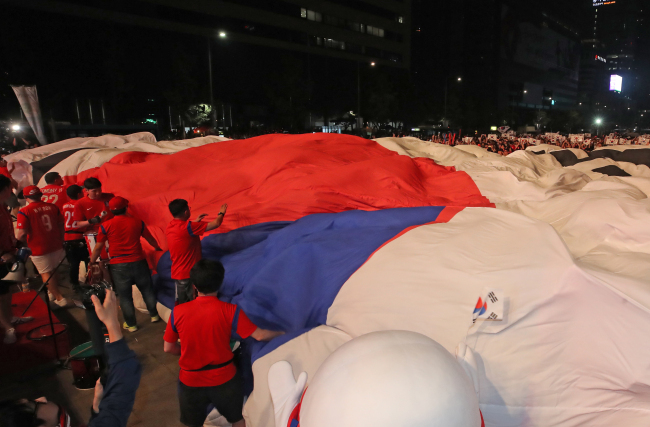 A giant sized Taeguekgi -- the Korean national flag -- created a wave above the crowd. Raw emotions were displayed without reservation. 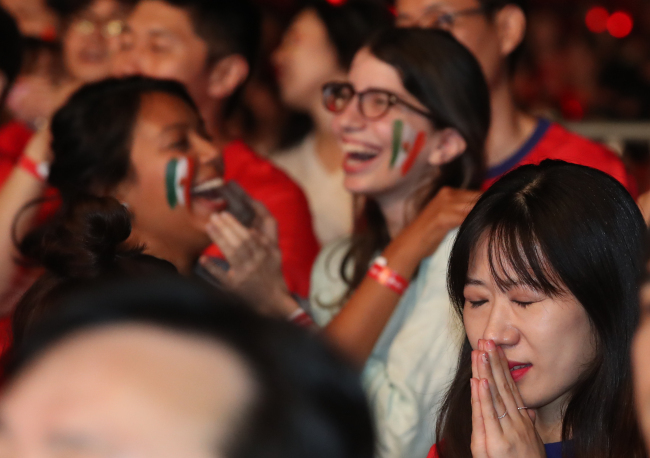 Grieving groans and joyous exclamations intersected between those supporting Team Korea and the Mexican players as Carlos Vela and Javier Hernandez shot goals in the first and the second half, respectively. 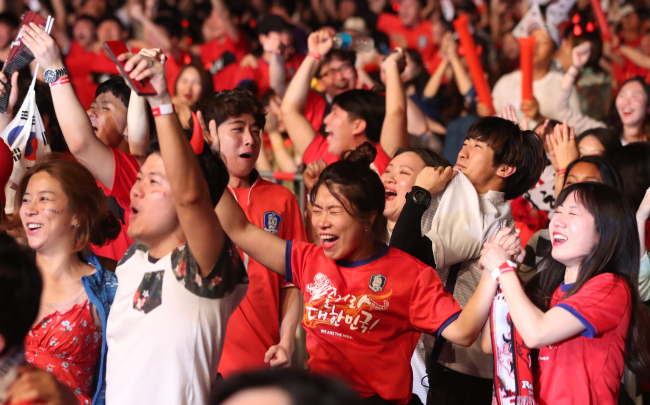 Korea’s Son Heung-min, a Tottenham Hot Spur attacker, scored a goal in the second half, cutting the deficit to 1, but could not save the team from losing 2-1. In the previous game, Korea had lost 1-0 to Sweden. On Saturday, Germany beat Sweden 2-1. 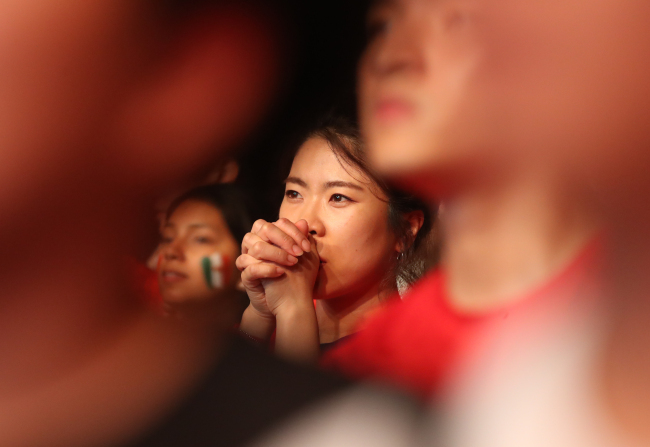 South Korea’s next game against Germany, scheduled for Wednesday, will determine whether the Korean team makes it to the next round.